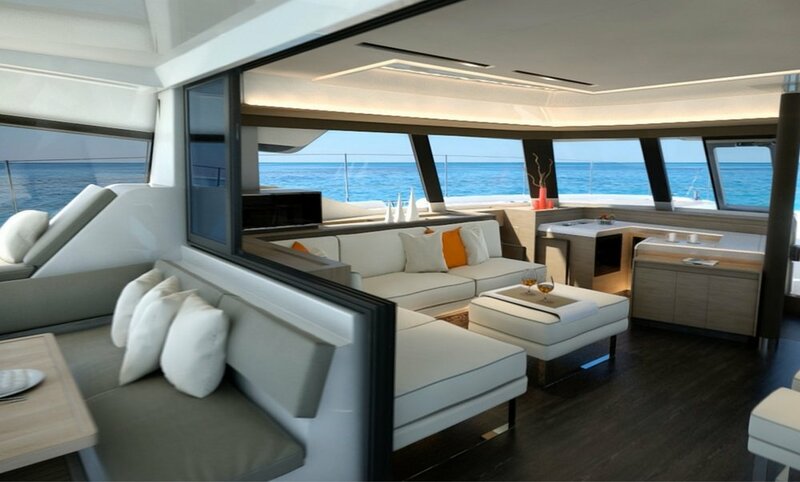 The NEW 67 sailing catamaran is the ultimate in luxurious comfort, designed for the most demanding sailors. Announced by Fountaine Pajot during the 2017 Cannes Yachting Festival, she is the latest model in the shipyard’s exclusive Flagship Class range. The first model of the NEW 67 is due for release mid-2018. Every single model sets a new benchmark in innovation. Fountaine Pajot’s design office collaborates with specialists and architects to continually improve on its earlier models in regards to performance, comfort, livability, safety and environmental sustainability. 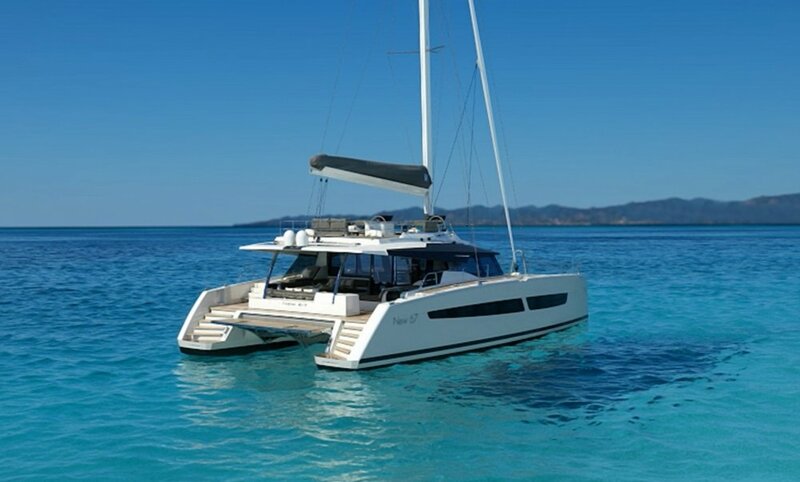 Caps, Single-level living, Skylights, the Eco-Cruising concept, are just a few of Fountaine Pajot’s signature innovations which continue to set new standards in the sailing catamaran industry. Fixtures such as solar panels, low-consumption watermakers, consumption meters, and eco-friendly lighting work to not only make the sailing catamarans more economical at sea but ecologically responsible. Its very trendy interior style, more rounded, more asymmetrical, will definitely surprise you and seduce you. Its very large flybridge of unequaled comfort of use and its front cockpit able to accommodate a Jacuzzi mark a level of comfort and service worthy of the greatest luxury residences for this yacht catamaran of 67 feet. Three versions are available: Owner, with an exceptional suite in one of the two hulls. Lounge, with the kitchen designed in a walkway to fully dedicate the square to the reception and relaxation. A third version where the many identical cabins with bathrooms, and crew space, will meet special needs.